Songkran is one of the funnest festivals in Thailand, it would be a shame if you missed it. Songkran Thailand - The most well known of all Thai festivals, Songkran is for those who love a good water fight. It’s the official Thai New Year landing on April 13th each year and lasting around 2 to 3 days. 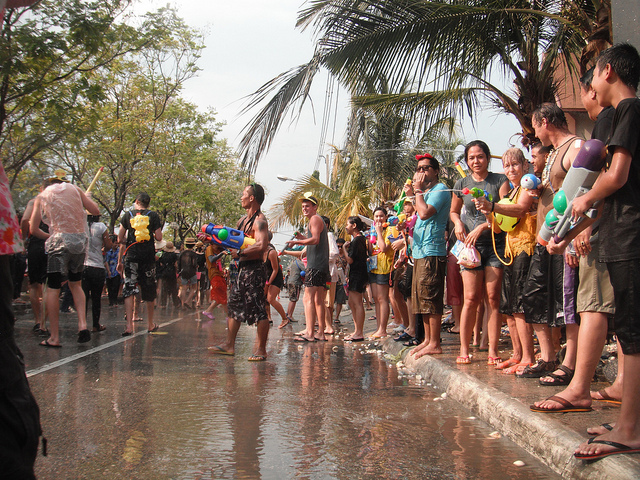 During the festival, the streets fill up with people looking to soak and get soaked with super-soakers in hand! Water is used as a symbol of cleansing, which is exactly what the Thai want to do to start the New Year.